Is life really grinding your gears? Do you find yourself lashing out at those around you? At yourself? 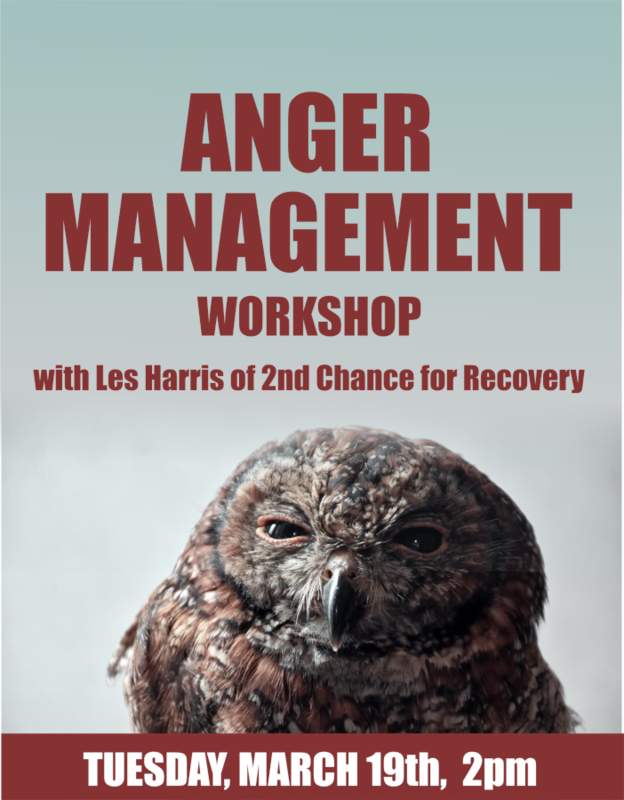 Please come on out on Tuesday, March the 19th at 2pm for an anger management workshop! Learn new techniques and tools for dealing with those upset moments! Is life really grinding your gears? Do you find yourself lashing out at those around you? At yourself? 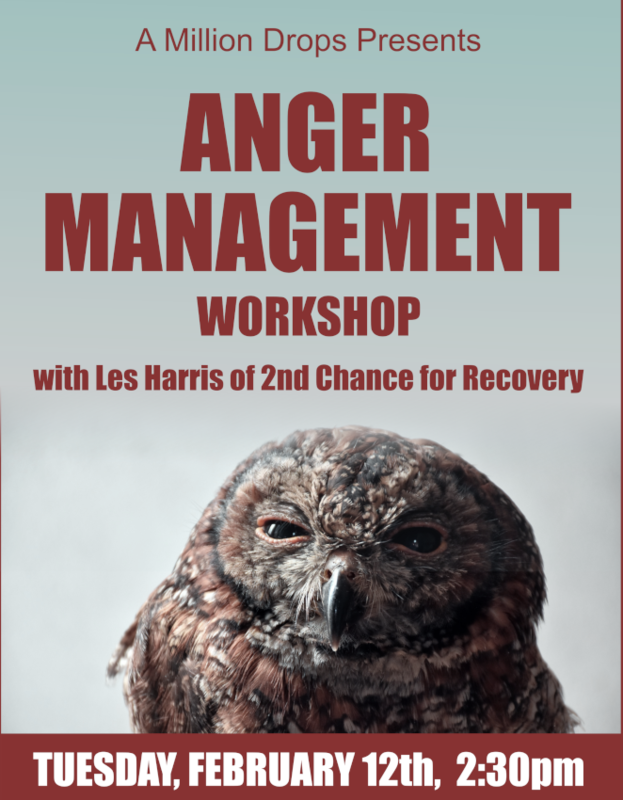 Please come on out on Tuesday, February the 12th at 2:30pm for an anger management workshop! Learn new techniques and tools for dealing with those upset moments!